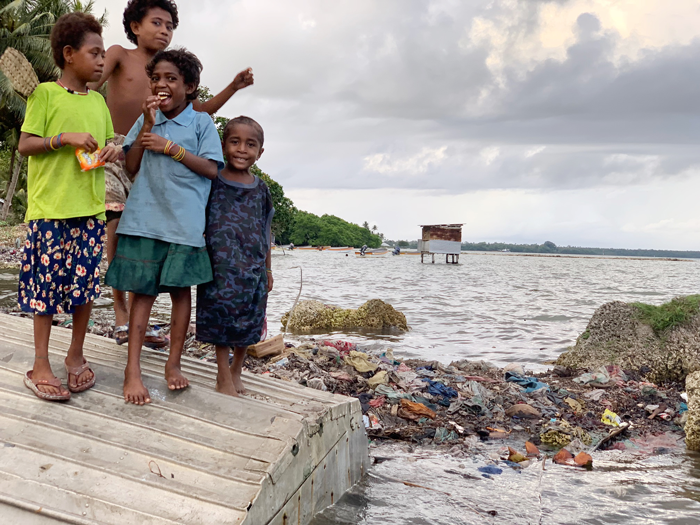 He is going over to receive check on the damage from cyclone and receive a progress update from the VBA’s and start to organise our next training session, which is now looking like September 17, 2019. He will have with him another 40 birthing kits, including washable menstrual pads, muslin wraps and batteries for all the torches we have sent over. 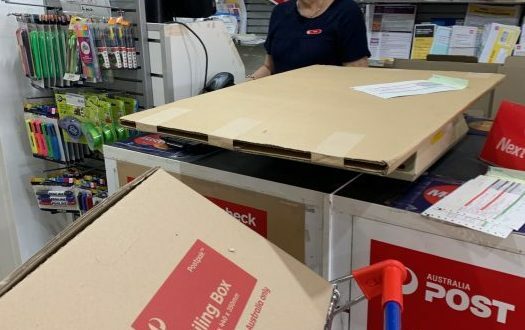 These are on their way thanks to our friendly Post Officer, Hunter, our packers, Diana and Kylie Adams and all our wonderful sponsors and donors. Thank you one and all!. 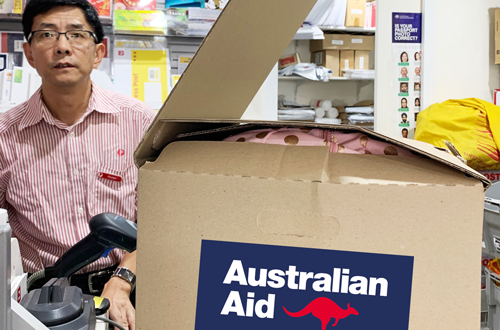 @dfat #AustralianAid. 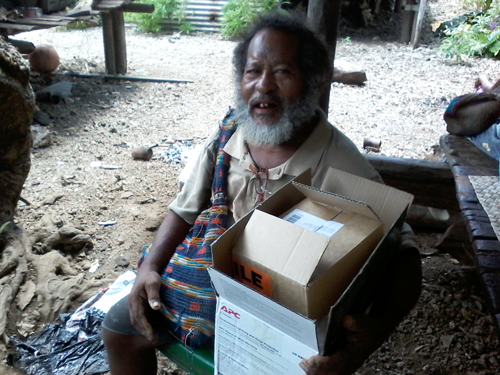 …and the CFK VBA supplies have finally arrived on Kiriwina. 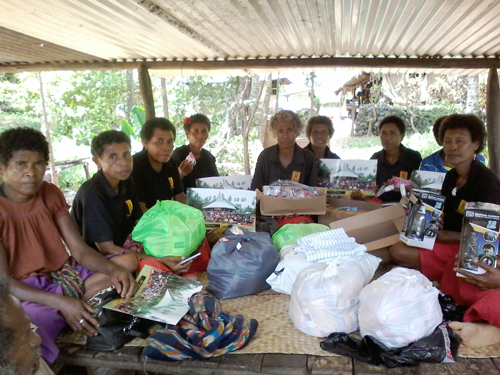 Photos of the CFK VBA supplies recently being distributed to the VBA’s and VHV Jansen, on Kiriwina. 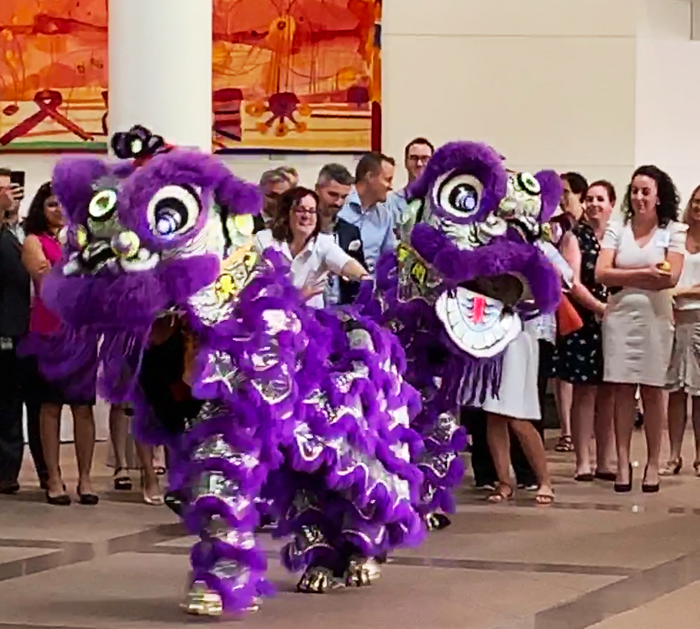 What a journey it has been to get there… and safely, yay! 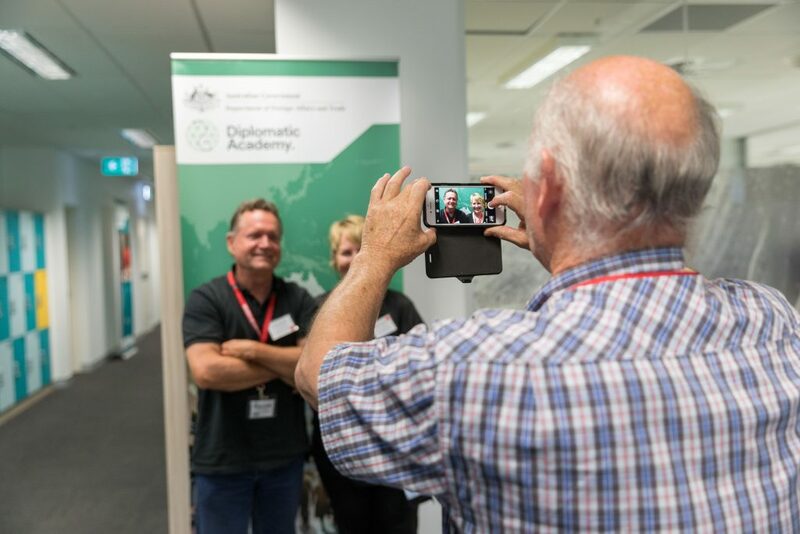 Thank you to all our donors and supporters #DFAT, #FriendshipGrants. Water pump at Kavataria finally reinstated! CFK has purchased the parts, flown someone over from the mainland and fixed the damaged pump. We have also supplied the equipment to ensure continued use, Yeah! 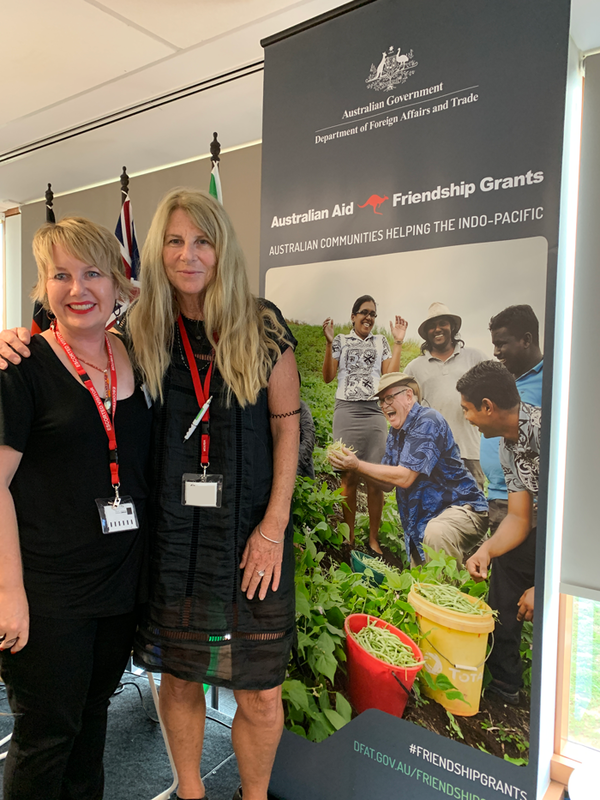 Thanks to our supporters, sponsors and donors and The DFAT Friendship Grants #DFAT, #Friendshipgrants for allowing this life saving aid to happen. 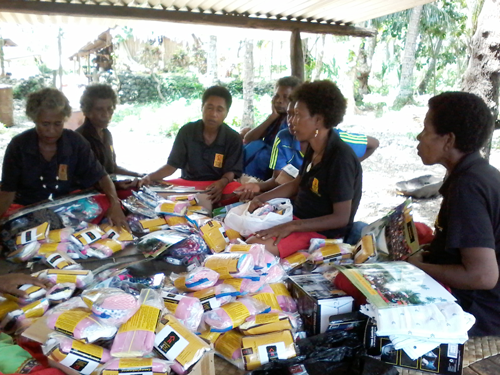 CFK Birthing Kits winging their way to Kiriwina and we are starting to send VBA training equipment over…yah! 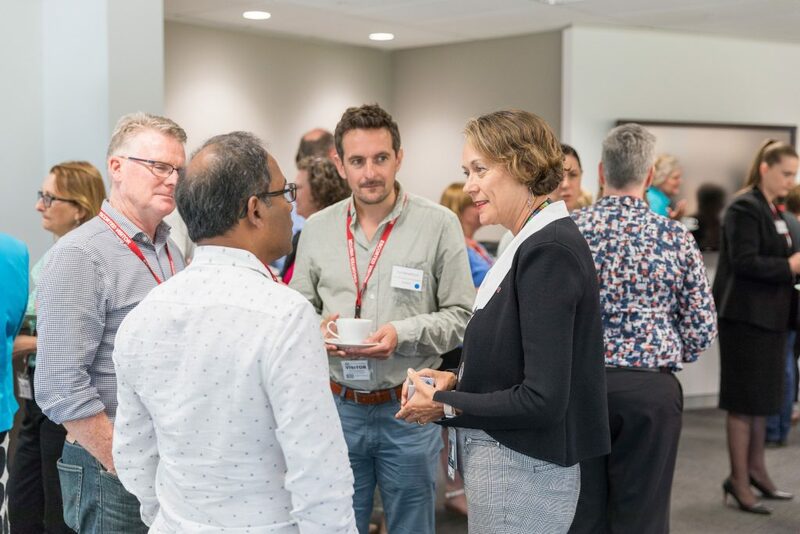 Due to unforeseen circumstances our training has now been set for the end of July 2019. Very exciting. 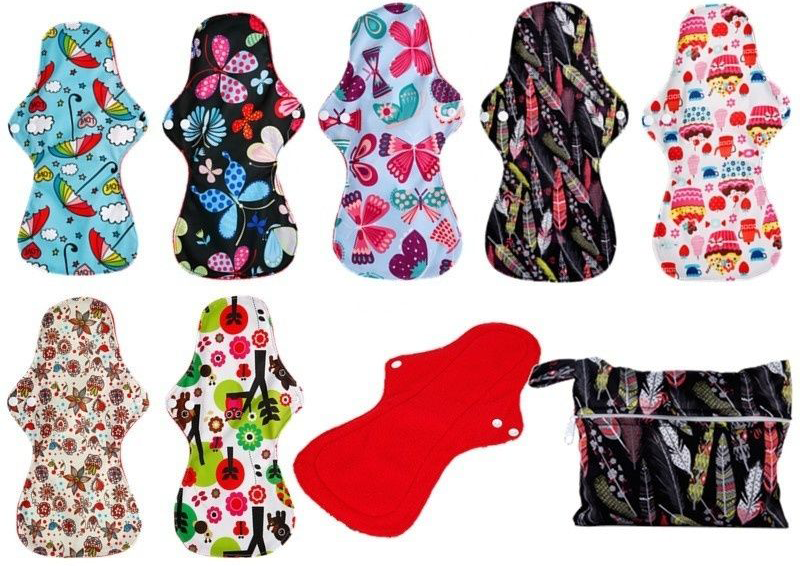 We have just posted 40 of the new you beaut birthing kits that include, other than the usual suspects, muslin wraps, undies and reusable heavy flow menstrual pads. CFK Dim Dim team meeting to work out 2019 training logistics. 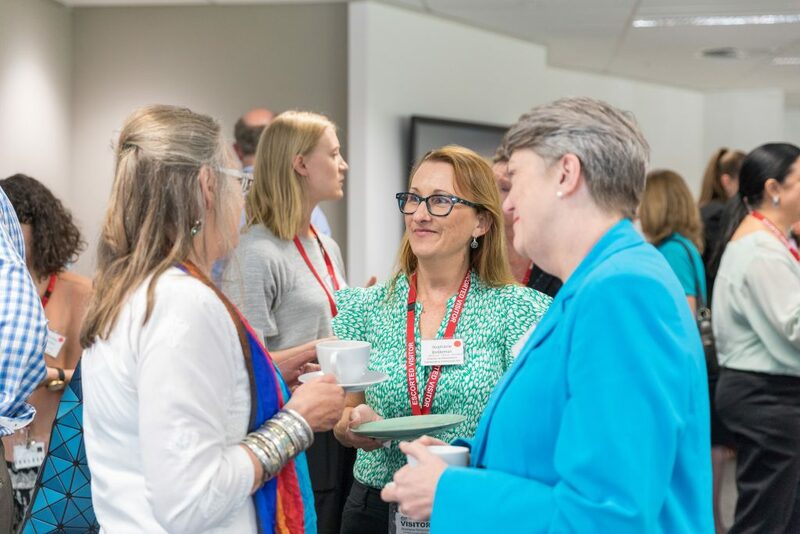 Exciting but challenging, CFK dim dim team face logistical and scheduling issues on our road to VBA training 2019. 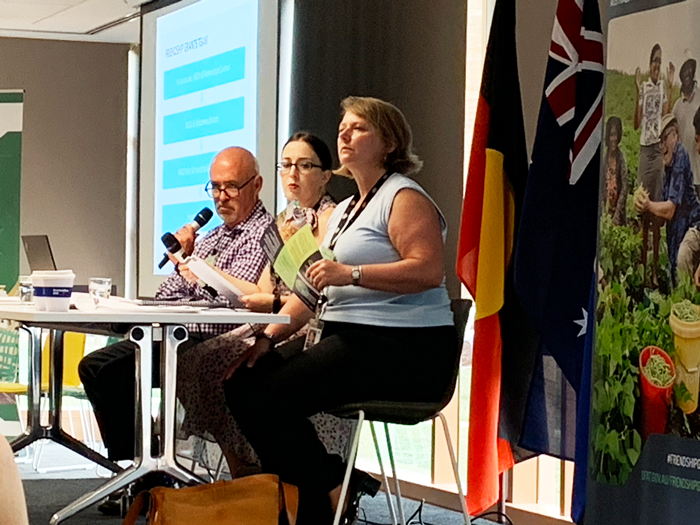 Photo from left: CFK Midwives Shea Caplice, Jacqui Andrew, CFK Co-director Doug Lawton and CFK Co-director VBA program Vanessa Palfreeman. 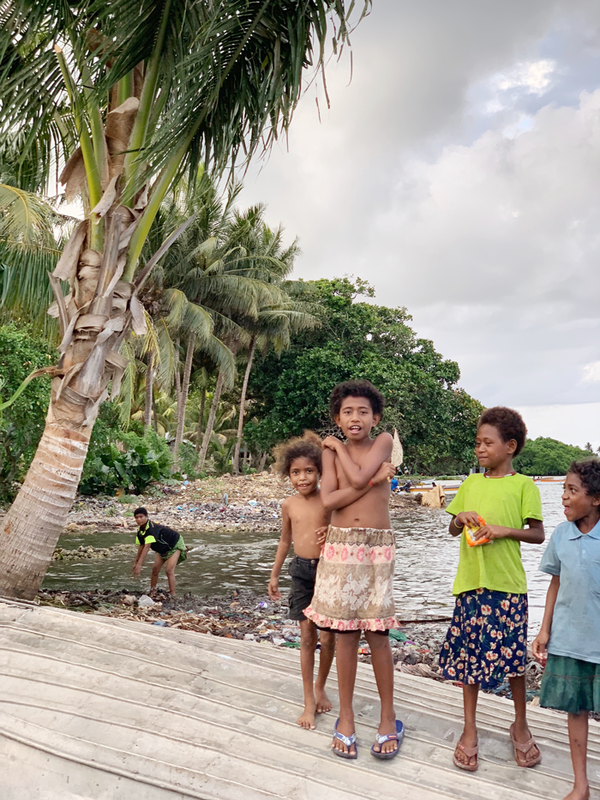 The headlamps were distributed on Kiriwina directly to the VBA’s at the beginning of this week and the water pump should have been fixed, we will let you know. 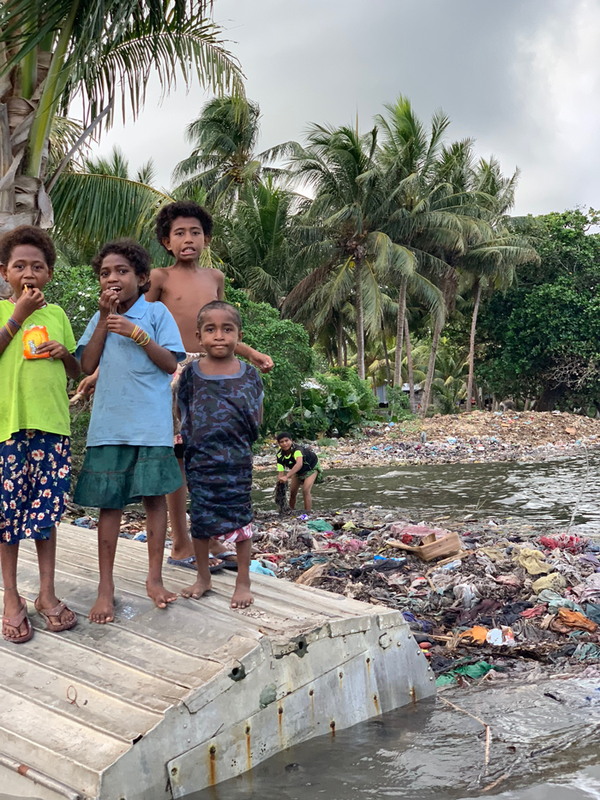 All direct communication to the Island has been difficult for months and months due to the lack of internet connection, so we will wait patiently to receive the photos documenting these events. 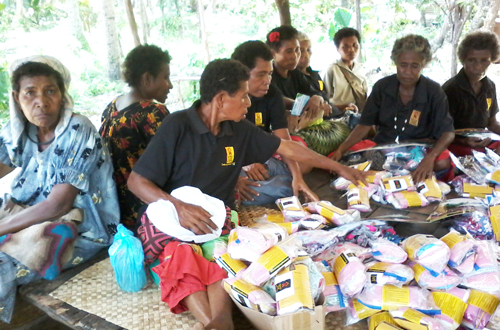 Thank you DFAT and our other sponsors and supporters for allowing us to continue this essential aid program. 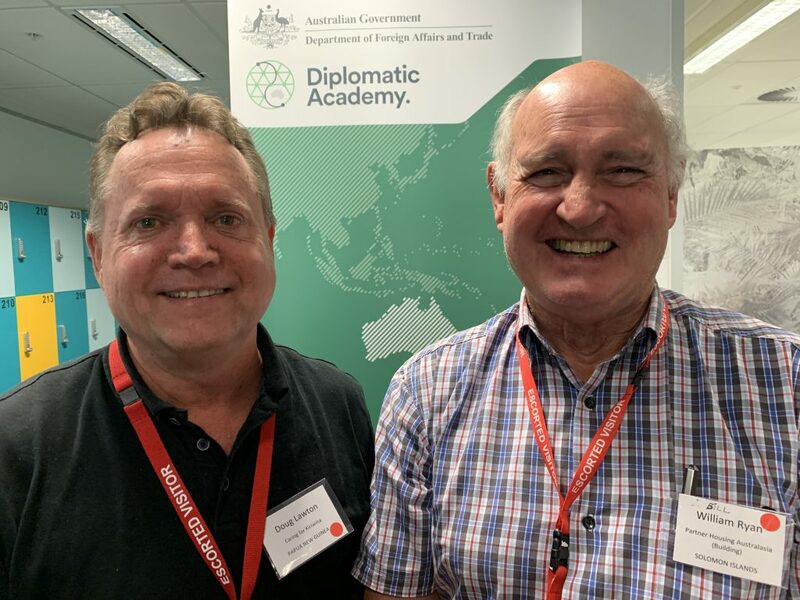 Thank you DFAT for the fantastic boot camp! 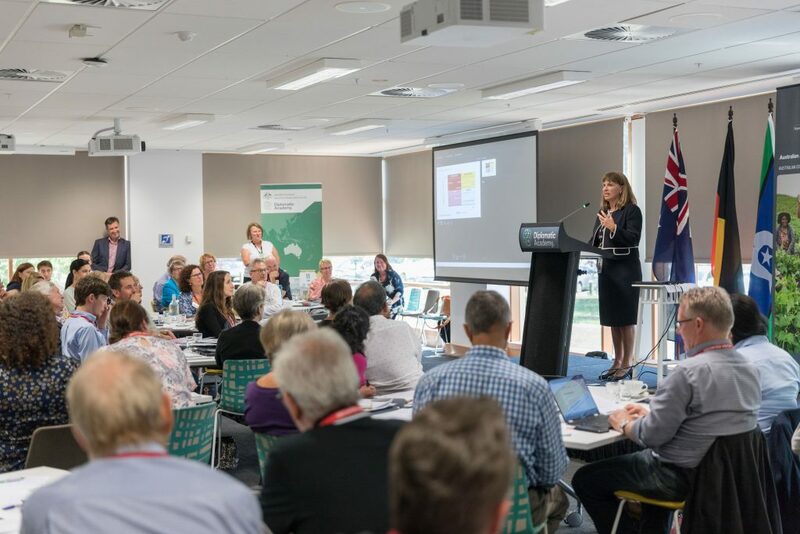 Thank you DFAT and the Friendship Grants team Lorraine, Kate, Gus and Helen … and now to start organising our VBA training for 2019. Yay! Finally, the water pump is about to be fixed! 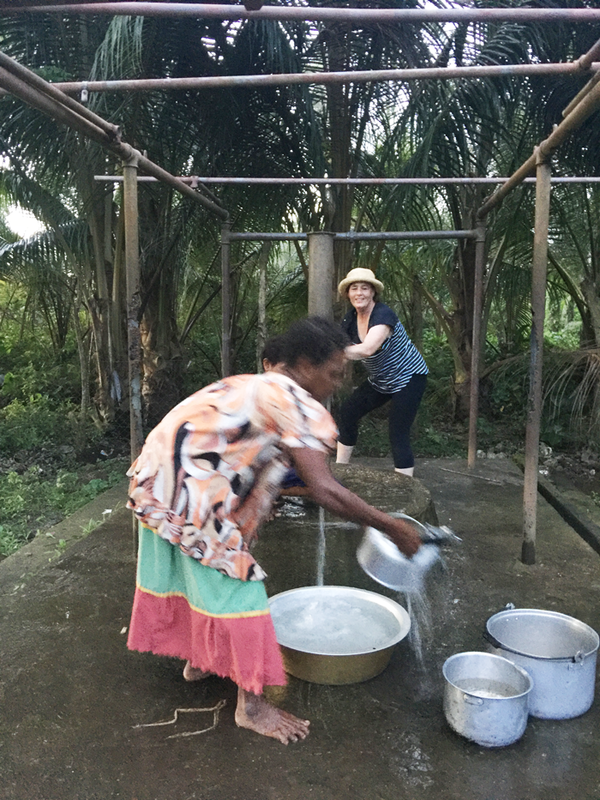 We have been desperate to find a solution to the damaged water pump that serviced approx 5,000 people from the main Kiriwinan Village of Kavataria and have spoken to many organisations about possible solutions. At last we have managed to manufacture the missing part and we are now sending a Kiriwinan from the mainland, with the necessary skills, over the Kiriwina to fix the pump. Yeah! 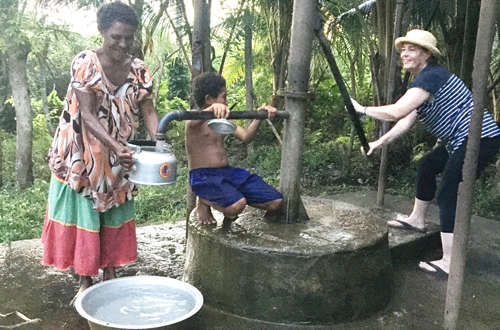 Water pump in better times, CFK’s Mary Jonmundsson at the pump in 2017. In an attempt to combat the rubbish issues on the Island we have started to include washable, reusable menstrual pads into the birthing kits (disposable pads only add to the rubbish problems on the Island). One of the most effective ways we have to protect ourselves and others from illness is good personal hygiene and CFK focuses on training the VBA’s in these techniques. Our intrepid CFK Team met this morning to discuss our years training options. (Midwife Jacqui there in spirit and rearing to go.) Go team CFK! CFK VBA training co-director Vanessa Palfreeman, her ever supportive husband Andrew Sweeney, CFK co-director Doug Lawton and CFK Midwife trainer Shea Caplice.